Vaporesso packs their marvelous innovation into a high-performance compact device! The Armour Pro is equipped with the OMNI 4.0, which is one of the most advanced chipsets on the market. You get practically instant activation and very accurate power! It also features an incredibly sleek body and large 0.96” color screen/activation button. Despite the remarkable performance and 100 watts of power you receive from the Armour Pro, it also has quite a compact construction, which is perfect for on the go use! 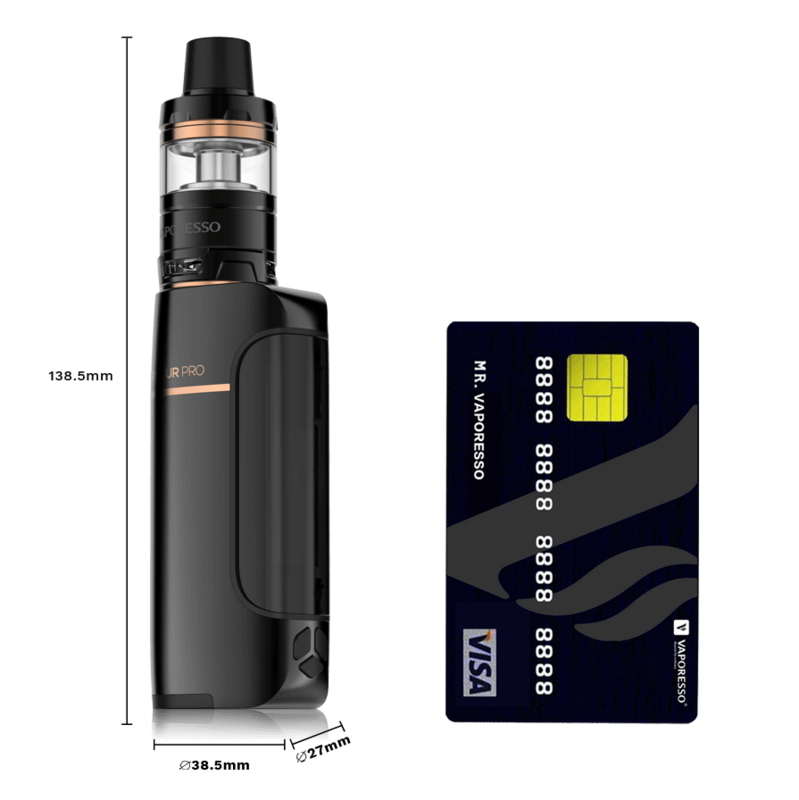 The Vaporesso Armour Pro mod gives the high-qualities of a large device with a perfect on the go size!